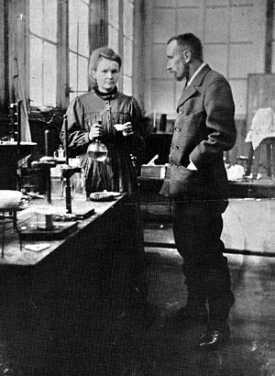 Today, Marie Curie would have been 144. I’m sure there’s a math or science joke in there somewhere. She’s one of my favorite scientists. Because she has always been presented as a passionate woman who wanted to do nothing more than science. I always think it would have been cool to meet her, if I had been born significantly earlier. Or had a time machine. She’s always the first scientist I think of whenever anyone asks me to name a famous one. And I know that it’s because I learned about her at such an early age that I’ve always been fascinated with science. I do wish that I could name more women in the sciences. I know that my lack of knowledge stems in part from my lack of attention. I study English and can name significantly more women authors who frequently stay in the shadows because I search them out. I should do that more with scientists. I hope that the students going through school now get to learn about the women scientists who are changing the world now. Through intentionality, students can learn the names early on and perhaps end up with chances to meet the women who inspire them. This may be my new goal. So, if Marie Curie showed up on my door-step, I would thank her for not conforming. Because of her work, I’ve never doubted that I could learn or succeed in whatever caught my attention. And I’ve always kept a healthy fear of radiation.